Why is it important for an egg donor to have a healthy BMI? One of the basic requirements for being an egg donor is to have a healthy BMI, ideally between 18 and 28. This has absolutely nothing to do with us wanting size 6 swimsuit models as donors! Who doesn’t love a bit of curve after all! But, on a serious note, we all know that being too voluptuous or too skinny-malinky is not good for one’s health – there are many medical facts to substantiate this and people with an unhealthy weight are prone to many health problems, never mind infertility. It has been proven that fertility drugs aren’t as effective in an over /under weight person as they are with those with a healthy weight. Having to regulate the donor’s menstrual cycle with that of the intended parents is a critical step in managing an egg donation cycle. If your BMI isn’t within the correct range it can be difficult to predict a safe dosage of fertility medications for the best possible outcome. 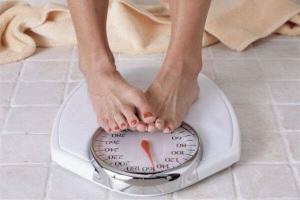 It may require higher doses of medication for the drugs to have the same effect on a woman with a high or low BMI. This higher dose of fertility medication puts the donor at risk of Ovarian Hyperstimulation Syndrome (OHSS) we never, ever want that! It can also result in the Dr having to stop the treatment cycle entirely if the follicle growth just ain’t happening. Extremely disappointing for both the Donor and the Recipient who is heavily invested, both financially and emotionally in the process – again, we never, ever want that! During the egg retrieval you will be placed under anesthesia for about 20 minutes. Anesthesia with a high (or low) BMI can cause a greater risk in respiratory and airway complications. The Doctors will never do anything potentially unsafe for a donor. Becoming a donor is one of the most amazing gifts that you can ever give to someone, however it should come with as little risk to you and those precious eggs during the retrieval. We cannot stress it enough – not only is it important for those eggies to be the best they can be but also the safety of the egg donor. Having a BMI set within the normal range, between 18 and 28, is something that is important – Nurture cares about YOU!